This post is a review of Heartland Box. I received a free, Moments Box in exchange for my honest review. All opinions are my own. Christmas may be over, but it’s not too late to get yourself what you’ve always wanted: a chance to preserve old memories before they are outdated and lost forever. 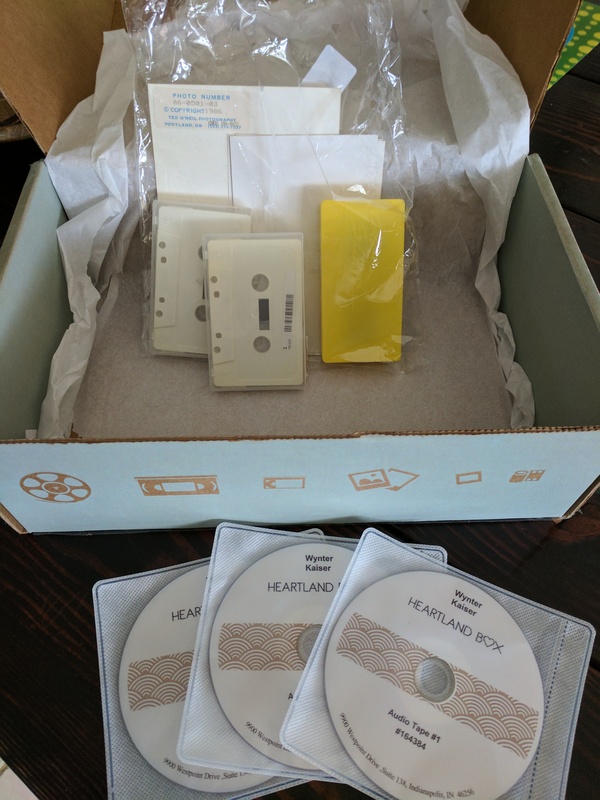 With four sizes of boxes at different price points, Heartland Box takes your memories on old, obsolete formats and transfers them into digital masterpieces. Simply request a box size on their website, and when it arrives, load it up with home videos, photos, 35mm slides or negatives, 8mm or 12mm film, or even audio cassette tapes, and ship it off to them with their prepaid UPS label. Within a few weeks, they will return them to you placed neatly and organized on CDs, along with the gently-handled originals. In the box I ordered, I placed a few, old photos that I did not have soft copies of, a box of 35mm slides, and two cassette tapes. They were returned to me on labeled CD ROMs, each file crisp and the audio as clear as if the digital version were the original! I cannot wait to go through my parent’s attic and see what other old treasures I can find to make new. Order your Heartland Box and preserve your own memories today!